Republican presidential candidate Newt Gingrich has released a 2006 consulting contract between Gingrich and the Federal Home Loan Mortgage Corporation–proof, the candidate insists, that he never served as a "lobbyist" despite attacks from rivals including Mitt Romney. A Romney ad airing in Florida starts off saying "While Florida families lost everything during the housing crisis, Newt Gingrich cashed in." Gingrich has responded he did no lobbying for Freddie Mac, and said he will try to have his Freddie Mac contract released to the public in the next week to prove that. He claims that he told Freddie its business model was broken, and told Republican members of Congress not to approve the bailout of Fannie and Freddie that have so far received $183.8 billion in taxpayer funds to cover losses. Gingrich has not denied the $1.7 million amount that his firm reportedly received from Freddie, which was first reported by Bloomberg News. A person familiar with his work for the company told CNNMoney that the figure is "generally accurate." Read the entire contract here. “Subject to a conversation between our counsel and Freddie Mac, we have received permission to release the attached contract,” said Nancy Desmond, Chairman and CEO of the Gingrich Group. 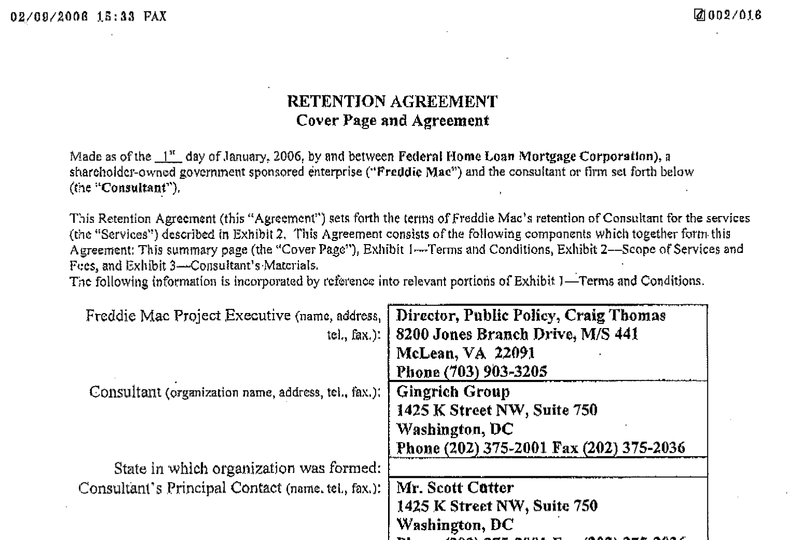 “As noted under the scope of work section on Page 14, the contract was solely for consulting purposes and not lobbying.“Freddie Mac and The Gingrich Group have agreed that this release is limited to the contract alone and does not constitute a general release of the confidentiality provisions between us,” Desmond added. Newt Gingrich relinquished his ownership in the company in May 2010 when he announced his bid for President of the United States.